CPM is an expert in the delivery of 360° feedback tools for the public sector, as a means of developing managers and leaders through the provision of multi-rater feedback on management and leadership behaviour. CPM can develop tailored 360° feedback tools, based on organisation-specific leadership frameworks or work level standards. We have delivered solutions of this nature to a number of departments and agencies across the APS. 360° Feedback mapped against the NSW Public Sector Capability Framework, with behavioural feedback provided at the Adept, Advanced and Highly Advanced levels. The public sector is currently experiencing a period of significant change – one that calls for a focus on people management and leader development. CPM has a significant and proven capacity in change management that can help public sector organisations navigate through organisational change. We can facilitate planning discussions that address the full range of strategies needed to bring about the practical behaviour change needed from all stakeholders to accompany restructuring and downsizing processes. It can be difficult to facilitate constructive consultative processes when you are responsible for change implementation. We can design and facilitate consultative processes that move people from negativity to action. 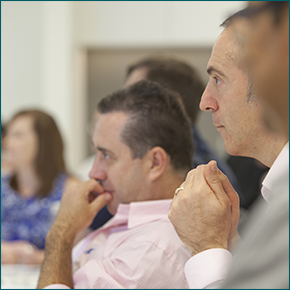 CPM can design and deliver workshops to reflect your needs during change, whether it be consultative or planning workshops, or training and skills development for managers and change implementers, or resilience and coping with change for recipients. 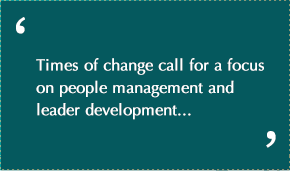 We also assist in development of strategies to support organisational change. We conduct training in change planning skills and leadership during change for those managers and implementers who are responsible for making change work. We also conduct highly practical workshops in communication for change including announcing change, handling difficult conversations with staff and sensitively managing resistance to change. We have current and relevant experience in change management interventions, ranging from large scale department and agency MoG changes, through to small organisational change processes, including resilience programs. For further information please contact our office on 02 6120 1980 or courses@cpm.com.au.